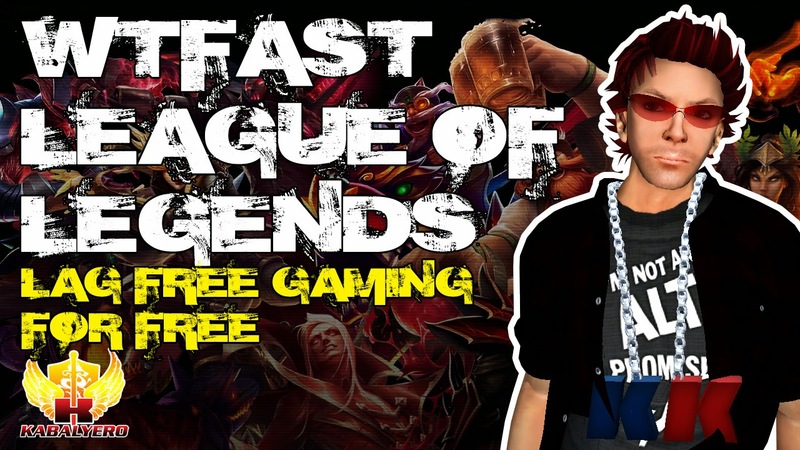 WTFast League Of Legends, Lag Free Gaming For Free - KABALYERO - PLAY, BLOG & EARN! WTFast League Of Legends, enjoy a lag free gaming in League Of Legends with WTFast for FREE. As a MOBA game, the action in League Of Legends happens in real time. If you are lagging then it could lead to a horrible gaming experience. Now, you can enjoy a better gaming experience by playing lag free by simply using WTFast. WTFast is a simple program that will tunnel your League Of Legends connection through its Gamer's Private Network. This will result to faster connection speed, lower ping and less lag in game. WTFast is also free because you can extend its Free Trial Forever but if you want twice the speed and more features then you must upgrade to Premium. To learn more about WTFast and to download it for FREE, simply go to the official WTFast website.